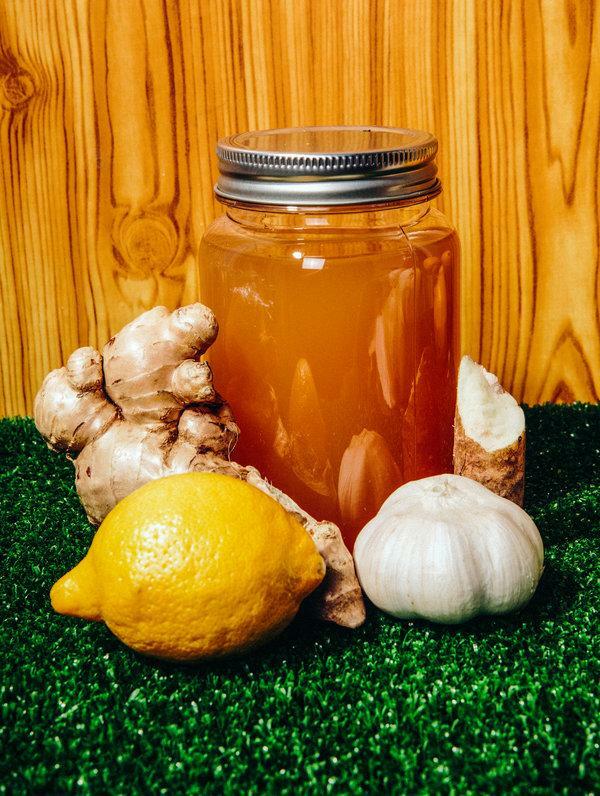 Fire cider is an herbal concoction that steeps for weeks and emerges tangy and hot. It is a pungent brew made from apple cider vinegar, onions, garlic and horseradish, sometimes with citrus and hot peppers thrown in. Proponents claim it has beneficial properties. Lately fire cider has become known for another property: its ability to electrify the typically serene herbalist community. The contentious tonic is the subject of a lawsuit filed in Massachusetts that, when it goes to trial this month, will pit timeworn traditions against cold, hard capitalism. The question to be answered in court: Who has the right to sell fire cider — and still call it “fire cider”? The conflict began in 2012, when a Massachusetts company called Shire City Herbals trademarked the name of its signature drink, which comes in three flavors and is now carried in all 50 states. Dana St. Pierre, 40, who founded the company with his wife and brother-in-law, said he learned the basics of making fire cider from his German grandmother, a medical skeptic who often relied on home remedies. Mr. St. Pierre said that he tinkered with her homeopathic recipe for decades, adding habanero peppers and lemons for kick, steeping the brew for four weeks at a time, until it tasted just right. According to his version of events, he came up with the name “fire cider” and around 2010, began selling it at local craft fairs and farmers markets. Soon after, on the advice of a customer, he trademarked the brand name to protect his small family business from being copied by larger companies. But herbalists from around the country say they have been making and selling fire cider for decades, long before Shire City Herbals even existed. Many trace the term’s use to a 1980s home study course by Rosemary Gladstar, a woman known as a “godmother of modern herbalism” who runs an herbal retreat center in Vermont. Among herbalists, there is a culture of sharing recipes, even those that might be profitable. That Shire City trademarked the name “fire cider” was a frustrating breach of etiquette. But that was only the first move in its intellectual property battle. Soon after, the company began sending messages to small-scale vendors on Etsy, asking them to stop selling their fire ciders. When herbalists refused, Shire City reported them to Etsy for violating a trademark, and the website delisted the products. It soon became clear that Shire City was not joking. Confronted with a company that seemed to be doubling down, the herbalists began to organize. Mary Blue, a defendant in the lawsuit, helped to start a petition on Change.org to revoke the trademark, garnering 5,000 signatures in a week. With the support of Ms. Gladstar, herbalists created a website, wrote detailed letters to the company asking them to reconsider, posted negative reviews and called for a boycott. The newly minted Free Fire Cider movement published printable fliers and “make your own fire cider” cards on its site and encouraged herbalists to contact their local stores to ask that they stop selling Shire City’s Fire Cider. Some stores did, including the Park Slope Food Coop in Brooklyn and the Kiva Grocery in Eugene, Ore.
Ms. Blue and Nicole Telkes, an herbalist in Austin, also submitted petitions to the U.S. Patent and Trademark Office to cancel Shire City’s trademark. Ms. Gladstar said she spoke with the founders of Shire City in hopes of convincing them to back down, but they told her they feared a larger corporation might come along and trademark the name, preventing them from selling it. “But we said, ‘Why don’t you just be on our team? And we’ll stand up for it together?’” Ms. Gladstar recalled. Shire City was resolute. On freefirecider.com, under FAQs, Ms. Gladstar’s team lamented: “They have declined offers from the herbal community to work together to get the name recognized as generic,” adding, “Many kind hearted souls have tried to mediate between the two sides.” Some of that mediation was done by a court magistrate. In the spring of 2015, in response to the petitions to cancel their trademark, Shire City filed a lawsuit against three herbalist leaders of the protest — Ms. Blue, Ms. Telkes and Katheryn Langelier — claiming that the women had infringed on their trademark and hurt their business through the boycott. The three defendants declined to comment for this story. Some of Shire City’s claims were dismissed, but this month Judge Mark G. Mastroianni of the U.S. District Court in Massachusetts is expected to determine whether the name “fire cider” is generic and unable to be trademarked, as the defendants claim, or whether Shire City’s trademark stands. “The defendants continue to believe that this term is generic, and are certainly hopeful that the court will agree,” said Seth Coburn, a lawyer representing the herbalists pro bono. To the herbalists, the battle is not just about the nuances of trademark law: it is about protecting a tradition in which people freely share knowledge, honor those who taught them, and, even if money changes hands, do not get caught up in claiming ownership or making big profits. The furious response has come as a shock to the founders of Shire City. Mr. St. Pierre does not identify as an herbalist. He said he felt that most of the irate herbalists misunderstood what a trademark actually regulates. But Martin Schwimmer, an intellectual property lawyer in New York who is not involved in the case, said the herbalists were right to worry. “The trademark owner might interfere with non-trademark use, such as the use of the term to describe a recipe in a cookbooks,” Mr. Schwimmer said. He added that if the herbalists could document their pre-2010 use of fire cider, they had a “decent shot” of winning. Mr. St. Pierre said that he does not doubt that Ms. Gladstar wrote her “fire cider” recipe in the 1980s — though he maintains he had never heard of her — but insists that he organically came up with the same name based on his grandmother’s recipe. Certainly, the case has inflamed many. On a recent evening at Remedies Herb Shop in Brooklyn, a group of students gathered to make Ms. Gladstar’s original fire cider recipe; the class’s proceeds would be donated to the upcoming trial. Participants chopped bright orange turmeric root, grated horseradish and crushed garlic, sharing stories of their favorite recipes and herbal teachers. At the end of the class, everyone took home a 16-ounce Mason jar filled with a personal batch, which would be ready after four weeks of steeping, just in time for fire cider’s star turn in court.